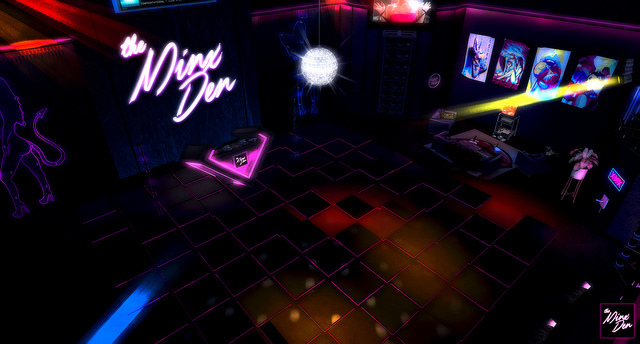 New GRAND OPENING @ Gemini – The Minx Den! When we began the adventure of the new sim, it has always been our intention to help other likeminded individuals out not just through our activities with gallery and party events and promotion, but also supporting different projects which we would not run directly. When a couple months ago we learned that our DJs and friends Hailey and Zuby were going to have to relocate their historic club The Abbey, it was only natural to offer them a home in this sim. The results were somehow…surprising, but only up to a point. The work done by both landscaping and building The Abbey, a truly historic location in SL, was not exactly an easy one to replicate on a smaller scale without losing the original vibe. Therefore a fresh beginning was in order, a new home for Hailey, Zuby, and of course the djs of literally hundreds of Pornstars parties across the years, Ayara ‘Pinky’ Illios and Nakuru Bergamasco. 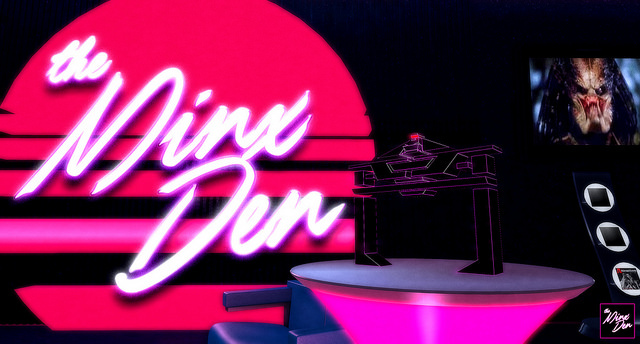 Therefore…The Minx Den was born! and it is having its grand opening TODAY September 23rd with a big party bringing aboard dj Yana Grau and the Head Minxstress herself, Hailey, for a party to remember! 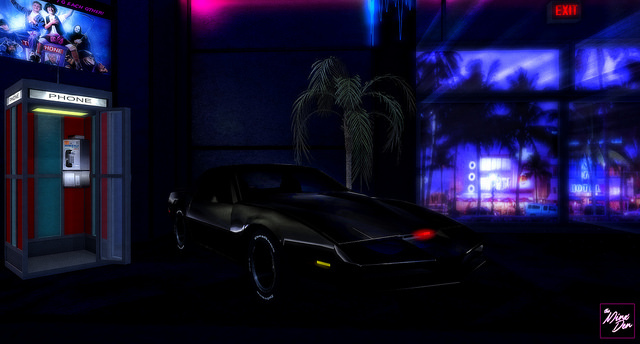 The ABBEY has been laid to rest, but from the ashes rises the MINX DEN, a brand new Retrowave-themed club focusing on the sensual, neon-drenched hedonism of the 1980s! 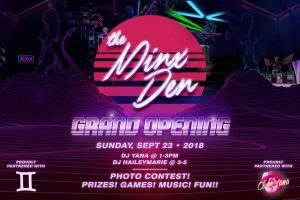 What’s old is new again, and we’re celebrating the launch of the Minx Den with a Grand Opening party! Partnering with us is the lovely Yana Grau on decks from 1-3, followed by club founder, builder and retrowave artist HaileyMarie Redrose from 3-5! The legendary GEMINI team will be there as well. Sure to be lots of fun, so don’t miss out! Come dressed in your favorite 80s attire, or come as you are 🙂 You know how we do it. SUNDAY, SEPT 23rd from 1-5PM! The Den is a very special place: its unique vibe makes it a dream spot for DJs who are into retrowave, the 80s and all the genres this gnarly establishment can inspire. 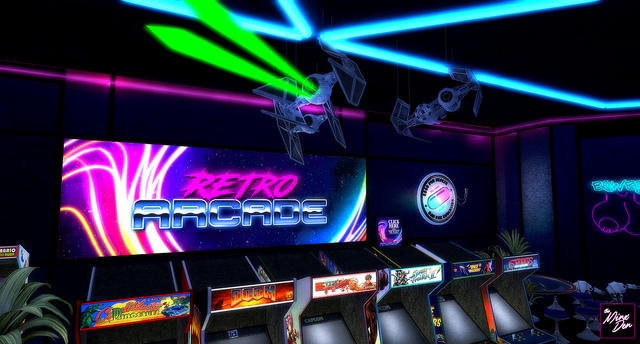 On top of that, it’s a generally beautiful hangout spot rich of pop-culture references, entertaining activities, from evergreen social games of SL hangouts like Greedy, to working arcade machines. To complete the set, a fully integrated private area has been added. Come and explore the Minx Den, you are in for a treat! Sloppy Seconds at Gemini: Zuby Gloom! Movie Party @ Gemini: Carly & Dillon’s dual project! !